This QTT hails from last fall’s One Room Challenge, but it is so earth shattering that it really needs it’s own post. Are you holding on to your hat? Ready? 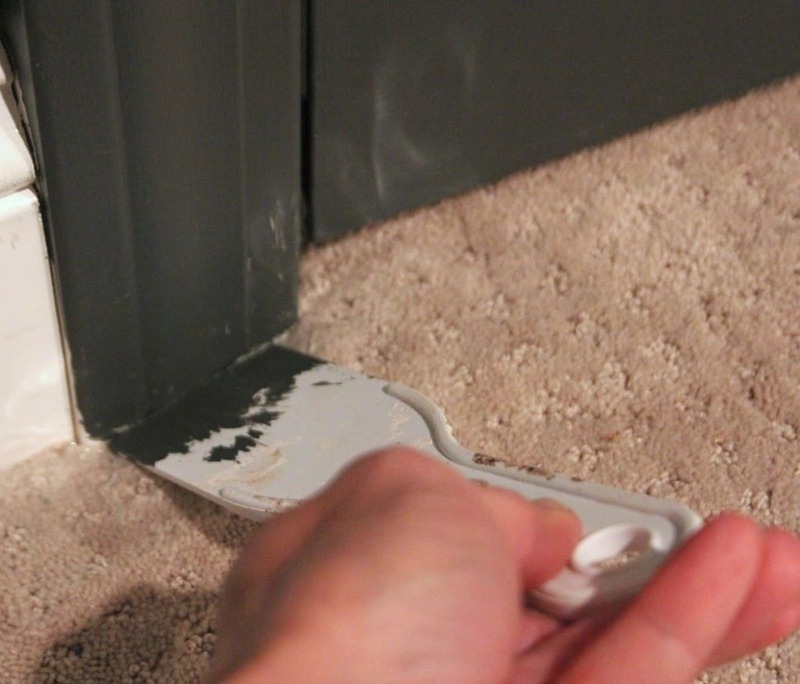 It has more tack than painter’s tape, but won’t leave residue behind, and won’t give you the dreaded bleed-through. 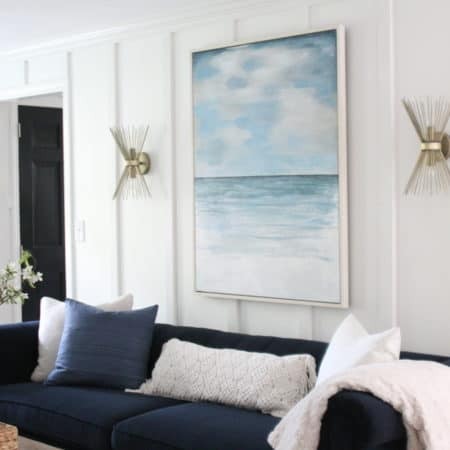 Press the packing tape right up to the edge of the trim, push down the carpet and packing tape with a spackle or putty knife, and go to town painting. That’s it!! 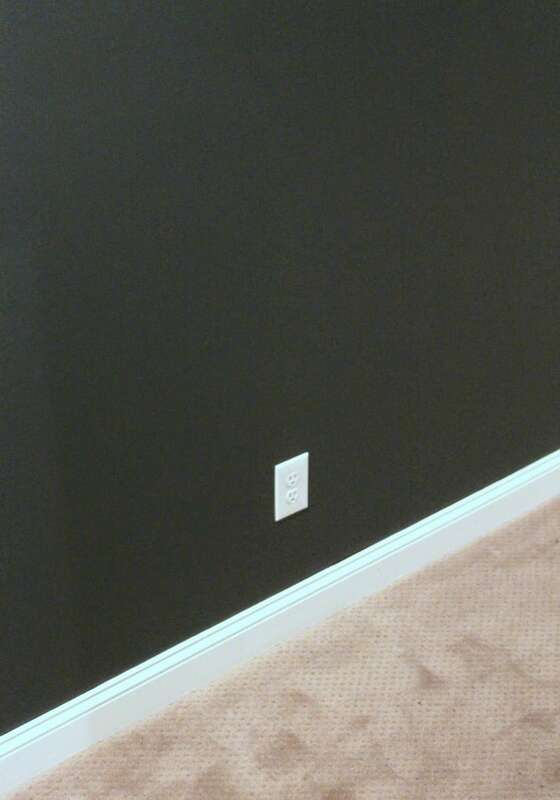 Easy peasy and no paint on your carpet! I hope this rocked your world. One Room Challenge | Bathroom Reveal! Best Of The Nest Party // September! Had I seen this post in my old house, with oodles of wood trim, it totally would have rocked my world! 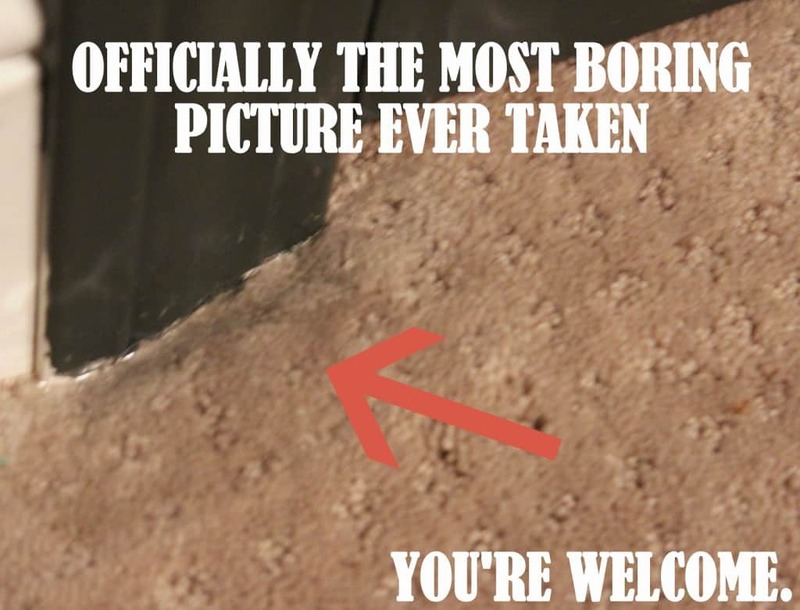 That was one reason I never tackled it – the carpet! Who knew? Great tip!! 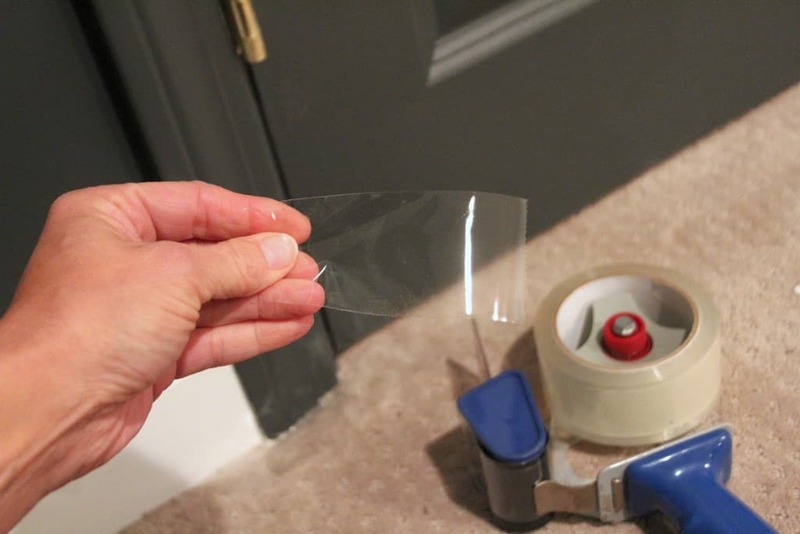 I'm with Cassie, always used a putty knife, but there are always some stray fibers that get stuck to the trim. Great tip! I'm thankful for hardwood floors today! Happy Tuesday to you too, cute friend! I'm with Tiffany – simple tips are the best and this is one I will definitely use!! Love this tip! So easy but definitely a step I've always missed in the past. Thanks for sharing! That photo drew me in! 🙂 Simple tips are the best! Great tip, Lisa! I will definitely try this and pin it 🙂 Now I'm intrigued with the dark gray door and trim…where is that in your home? Beautiful!